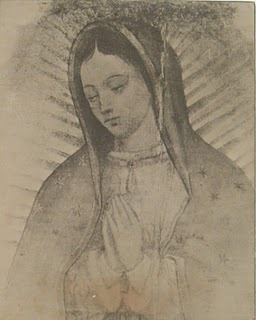 "The great movement of apostasy being organized in every country for the establishment of a One-World Church which shall have neither dogmas, nor hierarchy, neither discipline for the mind, nor curb for the passions…"
Our Lady of Guadalupe bless us. 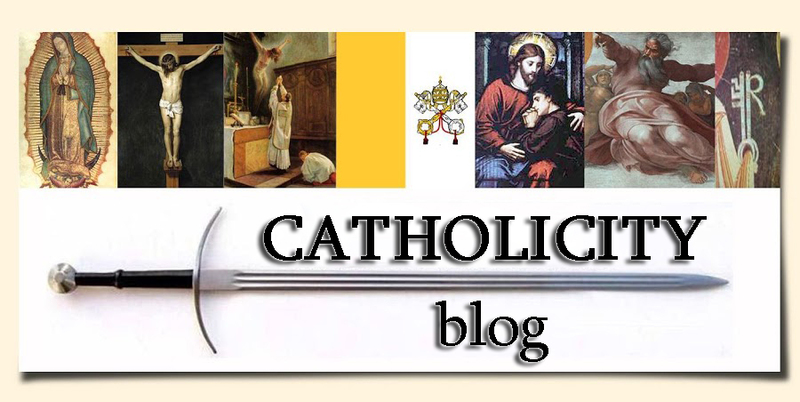 WELCOME TO YOUR BLOG CATHOLICITY! 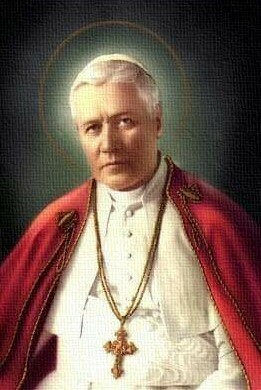 This a group dedicated to the self-improvement integral to being a Roman Catholic. As Catholics, it is vital to not only develop spiritually, but to prepare ourselves mentally. Catholicity aims to achieve this through the exploration of topics and issues of interest. 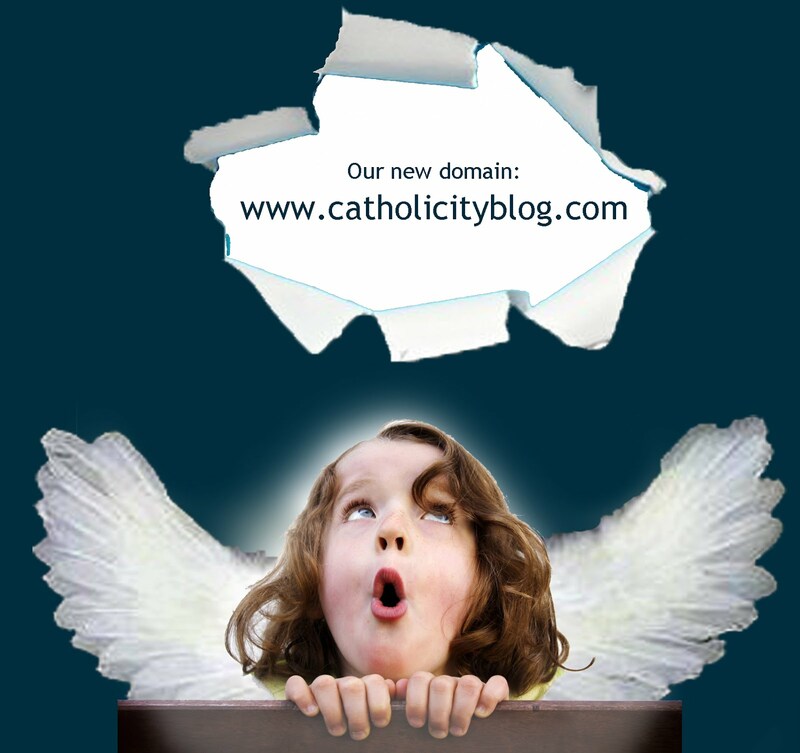 As Catholic doctrine is perennial, the topics discussed on our website rarely become obsolete. Therefore, we invite you to read not only our recent posts, but all the articles contained in our archives. We are confident that you will discover many articles of interest here. Your opinion is very important to us. We appreciate all feedback and invite you to comment on any posts you find interesting. In addition, we encourage you to add this site to your FAVORITES so you can access it frequently and easily. Besides you can also click below to become a FOLLOWER. CATHOLICITY is a Mexican blog. Its main objective is the publication of a wide range of articles (e.g. news, observations, texts, studies, documents, etc) that allow readers to cultivate and defend their Catholic faith. We also aim to build a complete library of the Church’s Magisterium, including all Popes and all Councils. PLEASE NOTE THAT ALL THE ARTICLES WRITTEN FOR CATHOLICITY CAN BE REPRODUCED OR REPOSTED TO OTHER SITES PROVIDED THAT CATHOLICITY IS CITED AND, IF POSSIBLE, LINKS CORRESPONDING TO THE ORIGINAL SOURCE ARE INCLUDED. 1) The simplest way to explore the blog is to do so chronologically: read the articles from the top to the bottom by scrolling downwards, and, once at the end, click “OLDER POSTS” to continue reading. This may be repeated as many times as needed until reaching the first page and first post of the blog. 2) In the bottom right corner of this website you will find our “BLOG ARCHIVE”, where you will see all the articles organized by month. By clicking on a specific month, you will have access to all articles written during that time. 3) The “LABELS” that are located down below in this column will let you see the posts by name or title. 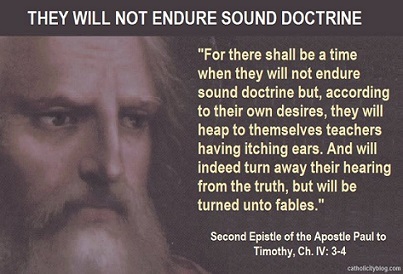 Uncomfortable Truths or Comforting Lies? THE FOLLOWING ARE THE GENERALLY ACCEPTED NORMS. Principle of author's license - A blog and its posts are creations of their author, who assumes the costs of technical maintenance and provides opportunity for other people to complement it with their comments. Hence, the author has full authority to assess which views can be used to supplement it. Furthermore, interaction takes place between, rather than in, blogs. Comments on articles within the blog are a forum in which others comment or argue. Consequently, it is not censorship to delete or reject a comment. The blogosphere, unlike USENET or traditional media, cannot be censored: no administrator has the authority to prevent anyone from opening their blog nor to force him to close it. -	Comments of little relevance that repeatedly seek to force a debate or stance that is not posed by the author or that has already been terminated, will not be allowed. -	A comment cannot be longer than the article itself, particularly if it is one of the first published in the comments section. If the commentator feels he requires more space to write, his alternative is to write his comment as a post on his own blog and provide the link to the original CATHOLICITY post to create a ping. To do otherwise can be classified as trolling and, consequently, any comment of this kind may be rejected, regardless of its author or content. -	All comments must comply with the basic netiquette of virtual communication i.e. those inherited from the old Bulletin Board System (BBS) but of full implementation in today’s blogs. This includes, but is not limited to: personal attacks, insults, ad hominem arguments, abuse of capital letters (i.e. ‘shouting’), comment bombing (e.g. excessive comments in the same post) and including inappropriate or distasteful images or words. -	Comments suspected of having promotional purposes for a website, person or group may them be off-topic or not. -	Comments made by the same person using different nicknames to represent a fake conversation or non-existent consensus, and identity theft in general. Some images and writings used in this blog have been taken from public Internet sources, considering the legality of its use for non-profit purposes, as is the case in question. However, if any person has reproduction rights of any of the images published on this website, and does not allow their use, please post a message in the comment section of any topic so that we can remove it immediately. Regarding the links to ebooks uploaded by third parties: we assume that whoever uploaded the files hold the rights or permission to do so. If not, please notify us so that we can remove the link.